At CFM, our purpose is to help our clients control their process. CFM-SF is located in Martinez California and has been in business for over 10 years. 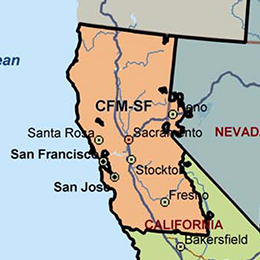 With new offices in Irvine and Bakersfield, CA, CFM-SF and affiliates Western States Controls and Golden State Controls are excited to offer the entire state of California superior products and services.